The New Jersey governor manipulated election schedule so thoroughly that a high-stakes primary drew only 9 percent turnout. Scheduling matters—especially when it comes to manipulating election dates. Just ask Chris Christie. He’s choreographing a confusing series of statewide elections in New Jersey this fall—all with the goal of benefiting Chris Christie. And what benefits Chris Christie most is diminished democracy. So the governor—and potential 2016 Republican presidential contender—has managed his election schedule with an eye toward keeping voter turnout low. The first step in the process went according to plan. On Tuesday, New Jersey held US Senate special election primaries to choose candidates to finish the term of the late Frank Lautenberg. From a crowded and competitive field of Democrats, Newark Mayor Cory Booker was nominated with almost 60 percent of the vote. In a two-person Republican race, former Bogota, New Jersey, mayor and Americans for Prosperity operative Steve Lonegan prevailed. When all the ballots were counted, the turnout figure was around 9 percent. So 91 percent of eligible voters did not participate, despite the fact that these definitional primaries featured a celebrity contender (Booker), two sitting members of Congress (Rush Holt and Frank Pallone), a prominent legislator (Sheila Oliver) and one of the state’s most outspoken conservative leaders (Lonegan). The primaries were a small-“d” democratic disaster and the October 16 general election, in which Booker is a favorite, could be even worse. In other words, everything is going as Chris Christie prefers. The governor created a schedule designed to downplay the Senate race—primaries in the middle of August vacation season, general election in October rather than November—because it was expected to generate higher interest among Democrats than Republicans. He didn’t want it to conflict in any way with his own November 5 re-election run. True, the schedule hurts his fellow Republican Lonegan, who would have benefited from being on the same ballot as Christie. But is also hurts Christie’s Democratic challenger, State Senator Barbara Buono, who would have benefited from being on the same ballot as Booker. So what’s bad for democracy is good for Chris Christie. That’s how the governor rolls. Christie’s entire political career has benefited from election scheduling that favors Republicans in a Democratic state. New Jersey elects its governors in odd-numbered years when there are no federal elections. Since federal elections, especially presidential elections, tend to attract a lot of Democrats to the polls, Christie has enjoyed a dream scenario for a Republican seeking statewide office in a state that has not backed a Republican for president since it picked George H.W. Bush over Michael Dukakis in 1988. 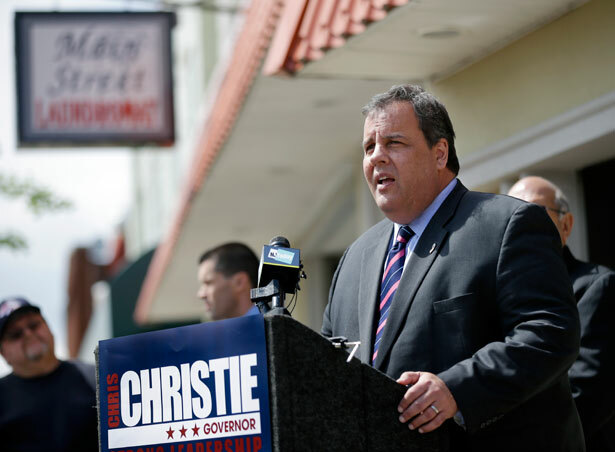 Christie is not alone in benefiting from Republican-friendly scheduling. The vast majority of states hold gubernatorial elections at the “midterm” point in the tenure of presidents, rather than on a schedule aligned with presidential voting. This means that most governors are elected when most eligible voters don’t cast ballots. This explains why states that vote solidly Democratic in presidential election years—such as Wisconsin, which has not backed a Republican for president since 1984; or Maine, which has not backed a Republican for president since 1988—have right-wing governors like Scott Walker and Paul LePage. As former US Senator Russ Feingold has noted, if all major elections were scheduled with an eye toward getting the clearest reflection of popular sentiments, America would have a dramatically different politics—and governance. And politicians who are not quite so honorable as Feingold are more than willing to game the process to assure that they get the electorate they want, even if that means creating circumstances where turnout is atrociously low. That’s what Christie did when he scheduled the special election to fill the US Senate seat to assure the lowest possible level of participation. The scheduling stunt will cost New Jersey $25 million that it did not need to spend and it has created a good deal of confusion. But Christie’s fine with the cost, and the confusion. But, as New Jersey Working Families Alliance executive director Bill Holland notes, the disenfranchisement will undoubtedly be most severe for voters who are most likely to disagree with Chris Christie. John Nichols is the author with Robert W. McChesney of Dollarocracy: How the Money and Media Election Complex is Destroying America (Nation Books). It explores the many vehicles by which powerful interests manipulate election processes, including the gaming of election schedules. What are the three questions that will decide the fate of voting rights in North Carolina?